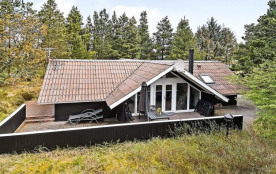 Renovated and modernised holiday cottage located on a closed road in the centrr of Blåvand, close to the town and the ocean. Kitchen/family-dining room combined with the living room. Living room and kitchen/dining area devides 2 separate sections, each with 2 bedrooms and bathrooms, a whirlpool, sauna and steam cabin. This arrangement makes the cottage suitable for 2 families. 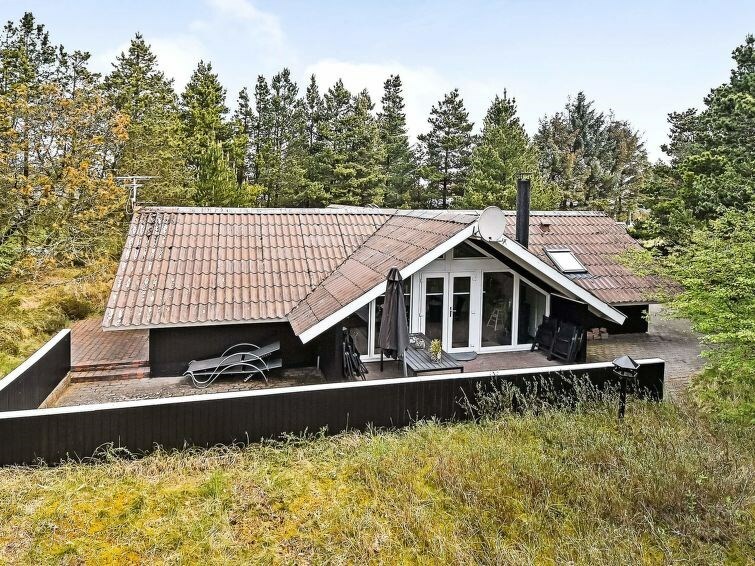 The house is located on a natural plot with tall trees. Tiled terraces surround the house, so that you always have sun on the terrace. Blåvand offers many activities. No letting to youth groups.